In Robles v. Domino’s Pizza, LLC, a blind customer sued under the ADA and California’s Unruh Civil Rights Act. Robles contended that on two occasions he unsuccessfully attempted to order a pizza from a nearby Domino’s via the company’s website and mobile app. Robles claimed both platforms failed to comply with his screen-reading software, which vocalizes visual information on websites. The Ninth Circuit, however, reversed the district court’s decision dismissing the lawsuit. Despite holding the ADA applied to the website and app, the district court dismissed the lawsuit, holding imposing liability would violate Domino’s right to due process. Specifically, the district court held that requiring Domino’s to comply with Web Content Accessibility Guidelines (WCAG) 2.0 (private industry standards for website accessibility that have not been adopted by the Department of Justice (DOJ)) without any significant guidance on what the DOJ would require of businesses to comply with the ADA violated Domino’s due process rights. The Ninth Circuit disagreed, and reversed and remanded on this issue. It held Domino’s has received fair notice that its website and app must provide effective communication and facilitate “full and equal enjoyment” of Domino’s goods and services to customers who are disabled. The lack of specific DOJ regulations on specific internet accessibility parameters does not eliminate Domino’s statutory obligations under the ADA. The district court could order compliance with WCAG 2.0 as an equitable remedy if it determines Domino’s website and app do not comply with the ADA. Lastly, the Ninth Circuit held the district court could not rely on the “primary jurisdiction doctrine” to avoid ruling on the case. The doctrine provides that a court may stay or dismiss an action pending resolution of an issue better resolved and addressed by an administrative agency. Domino’s asserted the DOJ should first issue its guidelines on website accessibility before the lawsuit could proceed. The Ninth Circuit held whether Domino’s website and app were compliant with the ADA constituted a fact-based inquiry within the district court’s competency. Employers' Bottom Line: The Ninth Circuit’s ruling will further bolster plaintiffs seeking to assert ADA internet website accessibility claims against businesses. Importantly, the Ninth Circuit reiterated what many courts have also held, that the ADA applies to businesses using their websites as an extension of their physical locations — here, a website and app enabling customers to order pizzas from nearby restaurants. Furthermore, the DOJ’s failure, or reluctance, to issue further clarification on internet accessibility does not, at least in view of the Ninth Circuit, bar courts from potentially enforcing the ADA against businesses for failing to accommodate individuals with visual disabilities. Businesses should review the accessibility of their websites under the WCAG guidelines and the Section 508 standards (governing those covered by Section 508 of the Rehabilitation Act), to ensure their websites are accessible. Businesses should also post an accessibility statement on the website that informs the public of the company’s commitment to accessibility and how to contact the company with any accessibility-related issues or concerns. 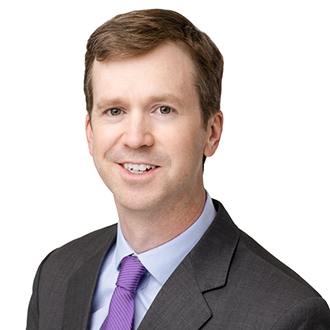 If you have any questions regarding the ADA’s website accessibility requirements, or other labor or employment related issues, please feel free to contact the author of this Alert, Max Smith, counsel in our Nashville office and member of our Disability Access Practice Group at msmith@fordharrison.com. You may also contact the FordHarrison attorney with whom you usually work.